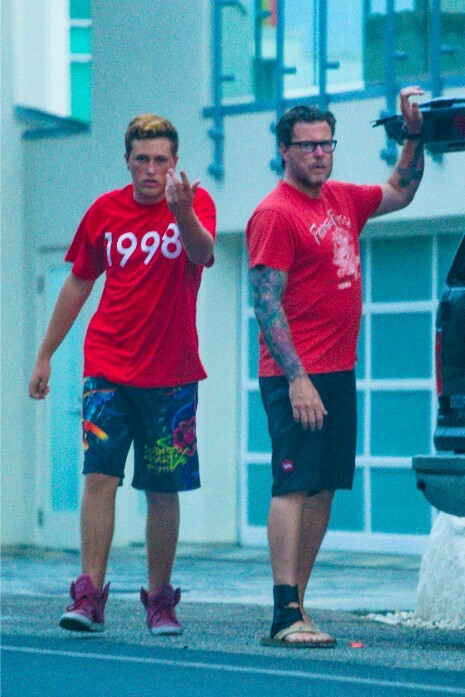 Tori Spelling’s unsavory husband Dean McDermott and his son Jackwere unloading their car in Malibu when Jack noticed a photographer and pointed him out to his father. It was a very public place but that didn’t stop Jack from making vulgar gestures (not shown) at the photographer. Most reality stars are flattered and secretly delighted when paparazzi show an interest in them. Good manners apparently don’t run in this family.